Computers are the basic building blocks for every day operations as well as innovation and growth in today’s workplace. Organizations in every sector are looking for hardworking, trustworthy, and qualified experts to help design, create, and maintain the vast technological systems required to stay relevant in this global economy. Students who earn an online graduate degree in Computer Science or Information Technology (IT) have the edge on competition when looking for an appealing IT or computer science job. Online graduate studies in this field will provide a flexible avenue for students to gain a high level of expertise in a particular field, to be better equipped for leadership and management positions, and to potentially see an increase in future earnings. This field is booming with potential! According to the National Association of Colleges and Employers’ January 2015 Salary Survey, recent graduates from graduate computer science programs have the highest average starting salary. Graduate degrees in Engineering and Business were ranked second and third, respectively. As this field continues to grow and prosper, prestigious universities all over the nation are launching online degrees in computer science and IT. With this in mind, there is no better time to propel one’s career by obtaining an online graduate degree in this field. We began our Smart Choice ranking by gathering data on regionally accredited colleges and universities that offer online master’s degree programs in Computer Science, Information Technology, or a related subject. Qualifying schools were then evaluated and ranked based on publicly available data in the areas of affordability, starting salaries of recent grads, market reputation, awards and recognition, and flexibility. This Smart Choice ranking of the top online master’s in computer science and information technology will undoubtedly lay a strong foundation for you as you search for the online graduate program that is best for you. Sitting on the coast of the Long Island Sound in Bridgeport, Connecticut, the University of Bridgeport is a private, independent, non-sectarian university. Just shy of 5,000 students are enrolled in the university. The New England Association of Schools and Colleges provides accreditation. Program Details: The School of Engineering at UB provides students interested in flexible graduate degrees in computer science and technology two options. The 100% online Master of Science in Technology Management (MSTM) provides students with the complex and interdisciplinary tools needed for successful management positions in tech related professions. The 33 credit Master of Science in Computer Science (MSCS) is also facilitated online. The MSCS has many concentrations including, but not limited to, E-Commerce, Software Engineering, and Wireless and Mobile Communications. Tuition for graduate programs in the School of Engineering is $790 per credit. Davenport University is a private, non-profit university with a headquarters in Grand Rapids, Michigan and other campuses throughout Michigan. The university first began holding classes in January of 1866. The Higher Learning Commission provides accreditation for programs. Program Details: The university has two online graduate programs relevant to technology offered out of two different academic colleges. The College of Arts and Sciences offers a 30 credit online Master of Science in Data Analytics. This program focuses on developing tools to process and analyze complex sets of data. The College of Technology offers a 37 credit online Master of Science in Information Assurance. This program primarily develops business and technology leaders in the information security sector. Jacksonville State University is a public university located in Jacksonville, Alabama. Established in 1883, there are approximately 8,700 students enrolled in the school. The Commission on Colleges of the Southern Association of Colleges and Schools provides accreditation. Program Details: The College of Art and Sciences at Jacksonville State offers an online Master of Computer Systems and Software Design. This 30 hour program has a general study plan as well as an optional concentration in Information Security and Assurance. The College of Education & Professional Studies at JSU offers a 30 hour M.S. in Manufacturing Systems Technology through online studies. The Manufacturing Systems Technology program is intended to prepare management-oriented technical professionals. Lawrence Technological University was birthed 80 years ago in an era of great American innovation. In fact, the original campus was located in Henry Ford’s Model T assembly plant. Now with a residential campus in Southfield, Michigan, approximately 4,000 students are enrolled. The school is accredited by the Higher Learning Commission and is a member of the North Central Association of Colleges and Schools. Program Details: The College of Management at LTU offers an online Master of Science in Information Technology. Students can specialize in Business Intelligence, Information Assurance, or Project Management. The degree program is self-paced and can be completed in as few as 24 months. Originally founded as Columbus College in 1958, Columbus State University has grown to offer 46 undergraduate and 42 graduate degrees. The school has a main campus in Columbus, Georgia and has nearly 8,200 students enrolled. Accreditation is provided by the Southern Association of Colleges and Schools Commission on Colleges. Program Details: The D. Abbott Turner College of Business offers an online Master of Science in Applied Computer Science with three concentrations: Information Assurance, Modeling and Simulation, and Software Development. Students may also design a program without a specialization. Students can achieve the degree by taking classes on-campus, online, or a combination of both. The Illinois Institute of Technology is a private, research university with a technology focus. With a main campus in Chicago and several other campuses in Illinois, the institute has just under 9,000 students enrolled. The North Central Association of Colleges and Schools provides accreditation. Program Details: The College of Science at IIT offers a 32 hour online M.S. in Computer Science as well as a 30-33 hour online Master of Computer Science (MCS). The MCS program is a professional master’s degree with specializations in Computational Intelligence, Cyber-Physical Systems, Data Analytics, Database Systems, Distributed and Cloud Computing, Information Security and Assurance, Networking and Communications, and Software Engineering. IIT’s School of Applied Technology provides an online Master of Information Technology and Management with 11 optional specializations including, but not limited to, Software Engineering, Information Security and Assurance, and Computational Intelligence. Formerly known as the University of Missouri-Rolla, the Missouri University of Science and Technology is a public university with over 8,000 students. The campus is in Rolla, Missouri. The Higher Learning Commission provides accreditation for the school. Program Details: Students interested in online graduate degrees in a technology related field have many options. The online M.S. in Computer Engineering is a 30 hour program with specialization tracks in Design of Digital Systems, Electrical Engineering, Computer Architecture, Embedded Computer Systems, Computer Networks, Network-Centric Systems and Computational Intelligence. The online M.S. in Computer Science is a 31 hour program that covers both critical infrastructure protection and software engineering. The online M.S. in Information Science and Technology is 31 credits and offers 11 specializations like Project Management, Human-Computer Interaction, and Mobile Business and Technology. With a main campus in the coastal town of Pensacola, Florida and other Florida locations, The University of West Florida is a mid-sized public university. Over 12,000 students are enrolled in courses. The Southern Association of Colleges and Schools Commission on Colleges provides accreditation. Program Details: West Florida’s College of Science, Engineering, and Health provides four 100% online M.S. degrees. The online M.S. degrees are in Database Systems, Software Engineering, Administration in Database Administration, and Administration in Cybersecurity. West Florida also offers an online hybrid M.S. in Computer Science for students who are able to travel to the campus on the on-campus requirement. Founded in 1991 to provide high quality education to military personnel remotely, American Public University is a private for-profit university with a headquarters in Charles Town, West Virginia. The student body is comprised of 41% civilians and 59% military personnel/veterans. The school is accredited by the Higher Learning Commission. Program Details: The School of Science, Technology, Engineering, and Math has over two dozen online programs in technology and computer science. Students can complete online M.S. degrees in Cybersecurity and Information Technology (IT), as well as online B.S. degrees in IT, a IT Management, and Cybersecurity. The M.S. in IT has concentrations in Digital Forensics, Enterprise Software Development, Information Assurance and Security, and IT Project Management. Both M.S. programs are 36 hours and have an affordable tuition of $325 per hour. The University of Louisville is a public research university with a commitment to the liberal arts and sciences. The university is located in Louisville, Kentucky and has over 22,000 students enrolled. The Commission on Colleges of the Southern Association of Colleges and Schools provides accreditation. Program Details: The J.B. Speed School of Engineering at UofL offers a 100% online Master of Science in Computer Science degree. Courses in this 30 credit program are taught by award-winning faculty. Application deadlines are July 1 for fall entry, Dec. 1 for spring entry, and April 1 for summer entry. Tuition is $693 credit or $20,790 total. Nestled in the hills of the Ozark Mountains in the town of Fayetteville, Arkansas, the University of Arkansas has over 25,000 students. The school is a public research university. Accreditation is provided by the Higher Learning Commission. The U of A is a member of the North Central Association of Colleges and Schools. Program Details: The Walton College of The primary online graduate program offered by U of A for those interested in technology is a Professional Master of Information Systems (MIS). This 30 credit program is primarily online but requires on-campus interaction one Saturday per month. For those with an engineering background who need a 100% online degree, U of A offers holistic M.S. in Engineering (M.S.E.) out of the College of Engineering. The degree includes a wide range of engineering courses in Computer Systems, Transportation Engineering, Industrial Engineering, Mechanical Engineering, Operations Management, and more. Indiana State University is a public university with nearly 12,500 students enrolled. The main campus, in Terre Haute, Indiana, has a faculty to student ratio of 1 to 20. The school is accredited by The Higher Learning Commission of the North Central Association of Colleges and Schools. Program Details: The College of Technology has an online B.A.S. in Technology and an online B.S. in Technology Management. The school also offers online M.S. degrees in Electronics and Computer Technology (MSECT) and Technology Management (MSTM) as well as an online PhD in Technology Management. The MSECT is a 32-credit-hour with concentrations in instrumentation, systems, and automation. The MSTM Program consists of 36 credit hours and optional concentrations in automotive, manufacturing, mechanical engineering technology, packaging, and quality. Auburn University is a public land, sea and space grant university with over 25,000 students enrolled. The campus sits in Auburn, Alabama. The Commission on Colleges of the Southern Association of Colleges and Schools provides accreditation. Program Details: The Samuel Ginn College of Engineering at Auburn provides students with opportunity to achieve an online M.S. and Ph.D. in Computer Science and Software Engineering as well as an online Master of Software Engineering (M.Sw.E.). An Information Assurance option is also available for students studying for the Ph.D. or the M.Sw.E. Auburn also offers an online M.S. in Information Systems out of the Raymond J. Harbert College of Business. Originally founded in 1907 as a teacher training school, East Carolina University is a public, research university with a main campus in Greenville, North Carolina. ECU also has two other campuses in the Greenville area – The Health Science Campus and the West Research Campus. Currently nearly 27,000 students enrolled. Accreditation is granted by the Commission on Colleges of the Southern Association of Colleges and Schools. Program Details: The College of Engineering and Technology at East Carolina offers four online graduate programs for students interested in technology and computer science. Students can get an online M.S. in Computer Science, Software Engineering, Technology Systems, and Network Technology. Students in the Network Technology program can specialize in Computer Network Management, Digital Communications, Information Security, and Web Technologies. The Technology Systems program offers specializations in Industrial Distribution and Logistics, Manufacturing Systems, and Quality Systems. Located near the heart of Dallas, Texas, Southern Methodist University is a private, research university. Though the university has its roots in what is now the United Methodist Church, the university is nonsectarian in teaching. Around 11,000 students call SMU home. Accreditation is provided by the Southern Association of Colleges and Schools. Program Details: The Bobby B. Lyle School of Engineering offers a variety of online degrees using a system called LOGin Distance Education. LOGin degrees at SMU include, but are not limited to, an M.S. and a Ph.D. in Computer Science, an M.S. and a Ph.D. in Computer Engineering, and a M.S. and D.E. in Software Engineering. Students have access to video recordings of lectures from the current term. While the course is taught in a flexible manner, students usually must take exams at their HR office, training center or another pre-arranged location. SMU also offers an online interdisciplinary degree out of three departments called a M.S. in in Data Science. Students in the Data Science program attend live classes online. For more information on the Data Science degree, click here. North Carolina A&T State University is a public, research university located in Greensboro, North Carolina. Approximately 10,500 students are enrolled in studies at the school. The Southern Association of Colleges and Schools provides accreditation. Program Details: The School of Technology at North Carolina A&T State University has several online graduate degrees related to technology. The school offers an M.S. in Information Technology, an M.S. in Instructional Technology, an M.S. in Technology Management (launching in the fall of 2015), and Doctor of Philosophy in Technology Management (a consortium degree with Indiana State University). Tuition per credit for online graduate degrees is $213 for residents of North Carolina and $821 for non-residents. Nearly 13,500 students are enrolled in Fort Hays State University. This a public university located in Hays, Kansas. Accreditation is provided by the Higher Learning Commission (HLC) and the school is a member of the North Central Association of Colleges and Schools. Program Details: The College of Business and Entrepreneurship at Fort Hays has an online MBA with two technology related concentrations: Information Assurance and Management Information Systems. The College of Education and Technology at Fort Hays has an online B.S. in Information Networking and Telecommunications, an online B.S. in Technology and Leadership.programs relating to technology and an M.S. in Instructional Technology. Most classes do not require students to be online at certain times, ensuring maximum flexibility. Bellevue University has been providing higher education for professionals looking for career growth since 1966. This a private, not-for-profit university has a headquarters in Bellevue, Nebraska. Nearly 10,000 students are enrolled. The Higher Learning Commission of the North Central Association of Colleges and Schools provides accreditation. Program Details: Bellevue University has over 20 online undergraduate and graduate degree programs in science and technology. Notable online programs include a B.S. in Software Development, a B.S. in IT, a Master of Professional Science in Technology Innovation and Entrepreneurship, an M.S. in Management of Information Systems, and an M.S. in Computer Information Systems. The tuition for online graduate programs at Bellevue is $515 for 14/15 and $525 for 15/16. 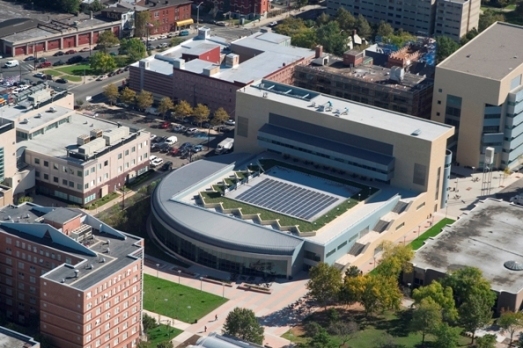 The New Jersey Institute of Technology is a public research university in Newark, New Jersey. Around 10,100 students are enrolled in the school. The Middle States Commission on Higher Education provides accreditation for programs. Program Details: The College of Computing Sciences at NJIT houses a few departments with online degrees. The M.S. in Computer Science program can be completed completely online in less than two years. The degree has three tracks: Databases and Data Mining, Networking, and Generalist. The M.S. Information Systems program has specializations in Business Decision Making, Security and Network Management, User Experience Design, and Systems Analysis and Design. Students wanting a degree that blends business management with technology can choose the online M.S. in Business and Information Systems. The MSBIS program has seven specializations: Business Decision Making, Data Management, Emergency Management, Security & Network Mgmt, Systems Analysis & Design, User Experience Design, and Web Systems. Online course content is delivered asynchronously through the university’s learning management system. For 140 years Stevens Institute of Technology has provided quality higher education. The school is positioned on the other side of the Hudson River from Manhattan in the town of Hoboken, New Jersey. Around 5,800 students are enrolled in studies at the school. The Middle States Commission on Higher Education provides accreditation for degrees. Program Details: The Charles V. Schaefer, Jr. School of Engineering and Science provides a number of online graduate programs through Stevens’ WebCampus. Students can complete an online Master’s degree in Computer Science, Computer Engineering, Cybersecurity, Information Systems, Network Information Systems, Service Oriented Computing, Software Engineering, to name a few. While format of each course may vary, courses have their own websites where students participate in weekly discussions (bulletin board style), access materials, and submit assignments. Some professors use web-conferencing for real-time instruction. Real-time sessions are recorded so students can access them later. For more information about specific degree programs consult the school’s website. Hofstra University sits on 240 acres in Hempstead, Long Island, 25 miles east of NYC. The private, not-for-profit school has a diverse population of close to 11,000 students. Accreditation is provided by the Middle States Commission on Higher Education. Program Details: The School of Engineering and Applied Science offers an online Master of Science in Computer Science. This 30-credit program provides extraordinary training in a variety of important areas such as web engineering, networking, security, computer vision, distributed computing, mobile application development, project management, and database systems. There are two optional concentrations: Web Engineering and Networking & Security. Graduate tuition at Hofstra starts at $1,145 per credit hour. Since 1902 Franklin University has been offering quality higher education. This private, non-profit university is located in Columbus, Ohio. Over 6,200 students are enrolled in courses at the school. The Higher Learning Commission provides accreditation for the degree programs. Program Details: The College of Arts, Sciences, and Technology at Franklin University has a hand full of options for those wanting online degrees in computer science. There are online bachelor’s degrees in Computer Science, Information Security, Information Technology, Social Media Design, Interactive Media Design, Management Information Systems, and Web Development. There is also a 40 hour online M.S. in Computer Science. Online students are assigned an academic advisor for one-on-one support whenever it is needed. The University of Illinois at Urbana–Champaign the flagship campus of the University of Illinois system. This public research, land-grant university has nearly 45,000 students enrolled. The Higher Learning Commission provides accreditation. Program Details: The College of Engineering at University of Illinois at Urbana-Champaign has an online professional Master of Computer Science degree (MCS). The degree is considered a “non-thesis, non-research” degree program. Online students receive the same lectures, class assignments, exams and projects as on-campus students. The MCS is 32 credit hours and has a tuition cost $1,034 per credit. Baker College, a large private, not-for-profit college, has around 15 campuses in Michigan. The school also offers many programs online. The Higher Learning Commission provides accreditation for the degree programs. Program Details: Baker College offers nearly 20 online certificates and degrees in the computer and technology field. The online undergraduate programs include a Bachelor of Computer Science (B.C.S. ), a B.C.S. in Game Software Development, a B.C.S in Mobile Application Software Engineering, and a Bachelor of Information Systems. The online graduate programs include an M.S.I.S. in Information Systems, an M.S.I.S. in Business Intelligence, and an MBA with a concentration in Information Systems. All online degrees at Baker are 100% online and accessible 24 hours a day, seven days a week. For over 65 years the University of Maryland University College has been providing distance education for students around the world. This public, state university has a headquarters in Adelphi, Maryland. Around 85,000 students are enrolled in programs at the school. Accreditation is provided by the Middle States Commission on Higher Education. Program Details: The University of Maryland University College offers a wide variety of online programs in IT and computer science. The school offers online B.S. programs in Computer Networks and Security, Computer Science, Cybersecurity, Digital Media and Web Technology, Information Systems Management. and Software Development and Security. UMUC also has online M.S. degrees in Cybersecurity, Cybersecurity Policy, Data Analytics, Digital Forensics and Cyber Investigations, Health Administration Informatics, and Information Technology. Tuition for graduate degrees at UMUC is from $458 per credit to $694 per credit. Minot State University is a public university in Minot, North Dakota. Founded in 1913, over 3,500 students are currently enrolled in the school. MSU is accredited by the North Central Association of Colleges and Schools. Program Details: The College of Business at Minot State University provides students with the opportunity to achieve an online M.S. in Information Systems (MSIS). This program is intended to cultivate tech savvy business executives for successful careers. Students can finish this 100% online degree in as few as two semesters. Established in 1864, the University of Denver is considered to be one of the oldest private universities in the Rocky Mountain Region of the United States. This private university has nearly 12,000 students enrolled in studies. The university is accredited by the Higher Learning Commission and is a member of North Central Association of Colleges and Schools. Program Details: The University of Denver’s University College, College of Professional and Continuing Studies, houses a Master of Applied Science in Information and Communications Technology. The degree is 48 quarter-credits and has concentrations in Database Design and Administration, Geographic Information Systems, Information Systems Security, Mobile Application Development, Project Management, Software Design and Programming, Technology Management, Telecommunications Technology, and Web Design and Development. The degree can be completed in two years and costs $571 per credit ($27,408 total). Named after the founder, Andrew Carnegie, Carnegie Mellon University is a private research university in Pittsburgh, Pennsylvania. Approximately 12,300 students are enrolled in the university. The Middle States Commission on Higher Education provides accreditation. Program Details: The H. John Heinze III College at Carnegie Mellon offers an online Master of Science in Information Technology. Students enrolled in the program can specialize in Information Technology Management, Information Security and Assurance, or Business Intelligence and Data Analytics. Lectures from the on-campus classes are recorded and loaded to DVD or uploaded online for students to view at a their leisure. That being said, at times there are live components such as web conferences for guest speakers. The degree is 144 units and costs $460 per unit. Positioned on 130 subtropical acres in Melbourne, Florida, Florida Institute of Technology is a private research university. Over 5,600 students are enrolled in the school. The Southern Association of Colleges and Schools Commission on Colleges provides accreditation. Program Details: Florida Tech’s Nathan M. Bisk College of Business offers an online M.S. in Information Assurance and Cybersecurity and an M.S. in Information Technology (MSIT). The MSIT degree has optional specializations in Cybersecurity, Database Administration, and Enterprise Resource Planning. The degrees are facilitated 100% online using online streaming video, discussion boards, chat rooms, and email. The university provides 24/7 tech support to ensure students are able to access material whenever they need it. Georgia Southern University is a public research university in Statesboro, Georgia. Around 20,500 students are enrolled in the university. Accreditation is provided by Southern Association of Colleges and Schools Commission on Colleges. Program Details: The Allen E. Paulson College of Engineering and Information Technology provides students with a wonderful opportunity to earn a Master of Science in Computer Science degree program with a concentration in data and knowledge systems completely online. The program consists of 30 hours of study and can be completed in less than two years. Students can only enter into this program in the fall term. Tuition is $410 per credit. 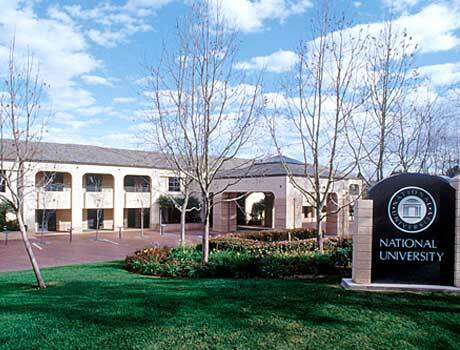 Since 1971, National University has provided quality education that is accessible. This private non-profit university has over 18,000 students enrolled. The school operates out of campuses throughout California and Nevada as well as several online centers in Florida, Georgia, and Virginia. Accreditation is provided by the Accrediting Commission for Senior Colleges and Universities of the Western Association of Schools and Colleges. Program Details: The School of Engineering and Computing at National University provides an online M.S. in Computer Science (MSCS), an online M.S. in Cyber Security and Information Assurance, and an online M.S. in Management Information Systems (MSMIS). The MSCS is a 67.5 quarter credit degree with specializations available in Advanced Computing, Software Engineering, and Database Engineering. The M.S. in Cyber Security is 54 quarter credits with specializations available in Computer Forensics, Ethical Hacking & Pen Testing, Health Information Assurance, and Information Assurance and Security Policy. The MSMIS program is also 54 quarter credits in length. Colorado State University is a public, comprehensive research university with a flagship campus located in Fort Collins, Colorado. 31,000 students are enrolled in studies at the main campus. Accreditation is provided by the Higher Learning Commission. Program Details: The university offers an online Master of Computer Information Systems (MCIS) 33 $730, an online Master of Computer Science (MCS) 35 $649, and a Master of Engineering in Electrical and Computer Engineering (ME). The MCIS program is 33 hours, costs $730 per credit, and can be completed in 18 months. The MCS program is 35 credits, costs $649 per credit and can be completed in two years. The ME program is 30 credits, costs $986 per credit, and can also be completed in two years. Sitting on 235 acres in Waltham, Massachusetts, 9 miles west of Boston, Brandeis University is an private research university with a liberal arts focus. 5,800 students are enrolled in the university. The New England Association of Schools and Colleges provides accreditation. Program Details: The Rabb School of Continuing Studies at Brandeis University has several online options for students wishing to further their studies in a computer science related field. Students can choose an M.S. in Software Engineering with nine available tracks, an M.S. in Information Technology Management with five available tracks, and an M.S. in Information Security. Admission at Brandeis is rolling. However, there are recommended deadlines if you are seeking admission for a specific semester: April 14 for summer, August 11 for fall, and December 15 for spring. In 1997 19 U.S. governors founded Western Governors University with the goal of improving quality of and access to online higher education. This private, non-profit university has grown to nearly 47,000 students. Accreditation is provided by the Northwest Commission on Colleges and Universities. Program Details: The Online College of Information Technology at WGU offers nearly 10 online programs. The degrees include a B.S. in Information Technology with three specializations, a B.S. in Software Development, a B.S. in Health Informatics, an M.S. in Information Security & Assurance, an M.S. in Information Technology Management, and an MBA with an Information Technology Management emphasis. The programs are 100% online. Students in the M.S. programs pay $2,890 per six month term while students in the MBA program pay $3,250 per six month term. Thus, total cost depends on the degree selected how quickly a student is able to complete the degree. Mississippi State University, a comprehensive public university, is has a flagship campus in Starkville, Mississippi. The university has other campuses in Meridian, Biloxi, and Vicksburg, Mississippi. Nearly 22,000 students are currently enrolled in MSU. The school is accredited by the Commission on Colleges of the Southern Association of Colleges and Schools. Program Details: The James Worth Bagely College of Engineering offers an online Electrical and Computer Engineering degree at the Master’s and Doctoral level. The online engineering courses are recorded live from the on-campus environment and then uploaded and made available for online students. Mississippi State’s College of Business offers an online Master of Science in Information Systems (MSIS). The MSIS program is 30 hours and includes courses like Information Technology, Systems Analysis, Database Design, and Business Telecommunication. Considered to be the oldest institution of higher learning in the State of New York, Columbia University was founded in 1754 as King’s College by royal charter. This private, Ivy League, research university is located in New York City. Nearly 27,000 students are enrolled in courses at the university. The Middle States Commission on Higher Education provides accreditation. Program Details: Columbia University offers an online Master of Science in Computer Science as well as an online Doctor of Engineering Science in Computer Science out of the Fu Foundation School of Engineering and Applied Science. The M.S. provides concentrations in Computational Biology, Foundations of Computer Science, Computer Security, Machine Learning, Natural Language Processing, Network Systems, Software Systems, and Vision and Graphics. Tuition is $1710 per credit. Resting in the Texas town of Lubbock, Texas Tech University is a public research university. Over 33,000 students are enrolled in the school. The Southern Association of Colleges and Schools provides accreditation. Program Details: The Edward E. Whitacre College of Engineering houses a 100% online Master of Science in Software Engineering. This non-thesis degree is 36 credits. Participation in the course is asynchronous, but the deadlines for online students are the same as the on-campus students. Students are not required to enroll in a certain amount of hours per term. New students may enroll at the beginning of any one of the four semesters throughout the year. Missouri State University is a public, comprehensive university system with a main campus located in Springfield, Missouri. The university is considered to be the second largest in Missouri with more than 24,000 students enrolled in courses at the Missouri State system. The Higher Learning Commission provides regional accreditation. Program Details: The College of Natural and Applied Sciences at Missouri State offers an online blended M.S. in Computer Information Systems. Students can finish in as few as four semesters. While the majority of the coursework is offered online, students must attend class on-campus for one week per semester (four days, twice a year). Cost of the degree is $410 per credit regardless of residency. Named after its first benefactor, the American entrepreneur, abolitionist, and philanthropist Johns Hopkins, Johns Hopkins University is a private research university in Baltimore, Maryland. Nearly 21,000 students are enrolled in courses at the school. The Middle States Commission on Higher Education provides accreditation. Program Details: The Whiting School of Engineering at John Hopkins offers a program called Engineering for Professionals. Through this program, students can obtain an online Master of Science in Computer Science. This degree has a concentration in Telecommunications and Networking. There are also a handful of tracks including, but not limited to, Big Data and Cloud Computing, Bioinformatics, Cybersecurity, Data Communications and Networking, Human-Computer Interaction and Visualization, and Software Engineering. The graduate tuition fee is $3,710 per course. Dakota State University is a public, technology centered university that offers a wide spread of degree programs. 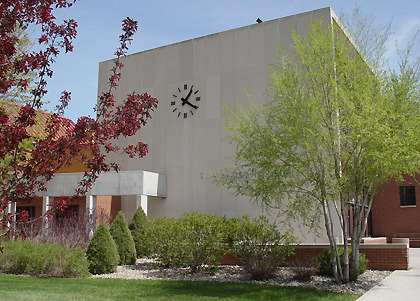 Established in 1881, the main campus is in Madison, South Dakota. Slightly over 3,100 students are enrolled in the university. Accreditation is provided by the Higher Learning Commission. Program Details: Dakota State has many flexible online programs for students who are interested in a career in computer science and technology. Undergraduate graduate students can pursue online degrees such as a B.S. in Computer Science, a B.S. in Information Systems, and a B.S. in Network and Security Administration. The online graduate options include programs like an M.S. in Information Systems, an M.S. in Applied Computer Science, and a D.Sc. in Information Systems. Online graduate tuition costs $414.85 per credit. For a full list of online degree programs, check out the distance education portion of Dakota State University’s website. Situated in historic Boston, Massachusetts, Boston University is a private research university. Though the university is nonsectarian, it has roots in the United Methodist Church. Over 32,000 students are enrolled in programs at BU. The New England Association of Schools and Colleges provides accreditation for degrees at the school. Program Details: BU’s Metropolitan College houses an online Master of Science in Computer Information Systems (MSCIS). The MSCIS features concentrations in Web Application Development, , Health Informatics, Computer Networks, IT Project Management, Database Management & Business Intelligence, and Security. The degree consists of 10 classes that can be completed in as few as two years. Founded in 1885, Stanford University is a private research university in Stanford, California. Over 18,000 students are enrolled in courses at the university. Accreditation is provided by the Western Association of Schools and Colleges. Program Details: The Center for Professional Development at Stanford offers a 45 quarter-credit online Master of Science in Computer Science. Students can choose one of the following ten specializations: Artificial Intelligence, Biocomputation, Computer and Network Security, Database Systems, Human-Computer Interaction, Numerical Analysis/Scientific Computation, Real-World Computing, Software Theory, Systems, and Theoretical Computer Science. Most part-time students finished in three years, although the cut-off to complete the degree is five years. Rochester Institute of Technology is a private university located within the town Rochester, New York. Over 16,500 students are enrolled in the university. The Middle States Commission on Higher Education provides accreditation. Program Details: The college offers two online graduate degrees in fields related to computer science. The M.S. in Human -Computer Interaction (HCL) is similar to a computer science degree in that the degree emphasizes designing, implementing, and evaluating software applications. The main difference in this program and a standard computer science degree is the emphasis on user interaction. The second computer science related online graduate program at RIT is an M.S. in Networking and System Administration (NSA). The NSA program is crafted to prepare students for leadership positions in organizations dealing with evolving networking solutions or to continue their education. Established in 1636, Harvard University is a private Ivy League research university in Cambridge, Massachusetts. Approximately 21,000 students are enrolled in the university. The New England Association of Schools and Colleges provides accreditation. Program Details: Harvard’s Master of Liberal Arts in Extension Studies in Information Technology has three concentrations: Information Management Systems, Software Engineering, and Digital Media and Instructional Design. While the majority of the degree is administered through online classes, every concentration requires at least one on-campus class. Students can choose to take this class in a 7-week summer term or a 15-week semester semester term. Total tuition is very affordable at 22,000 to $27,000. The University of Illinois Springfield is located on a 746 acre campus. Approximately 5,100 students enrolled in the university. The school is accredited by the Higher Learning Commission and is a member of the North Central Association of Colleges and Schools. Program Details: The Department of Computer Science offers the following online degrees: a B.S. in Computer Science, a B.S. in Computer Science Information Systems Security, and an M.S. in Computer Science. The M.S. in Computer Sciences is 32 hours. As with most computer science programs, this degree is best suited candidates interested in the design, analysis, and implementation of software programs. That being said, there are some classes available in the areas of security and information assurance. Regis University is a private, Jesuit Roman Catholic university with a main campus in Denver, Colorado. The school has extension campuses in a couple of locations in Denver as well as in Broomfield, Colorado Springs, Loveland, and Thornton. Nearly 10,000 students are enrolled in the university. Regis is accredited by The Higher Learning Commission, a member of the North Central Association of Colleges and Schools. Program Details: The College of Computer and Information Sciences offers many online options for students interested in the field of computer science and information technology. Graduate students looking for online programs have eight Master of Science options: Software Engineering, Database Technologies, Healthcare Informatics and Information Management, Information Assurance, Information Technology Management, Systems Engineering, Data Sciences and a combination degree in M.S. Software Engineering & Database Technologies. Tuition for the online graduate programs is programs is $700 per credit. Virginia Polytechnic Institute and State University is a public, land-grant university with a main campus in Blacksburg, Virginia. Over 31,000 students are enrolled in the university. The Southern Association of Colleges and Schools of the Commission on Colleges provides accreditation. Program Details: The Department of Computer Science in the College of Engineering offers two online graduate computer science options: an M.S. degree, which requires a thesis, and a Master of Engineering (M.Eng.) degree, which requires a project and report. These degrees are facilitated through interactive videoconferencing. Virginia Tech also offers an online Master of Information Technology (MIT) through a collaboration of the College of Engineering and the Pamplin College of Business. The MIT program uses a combination of asynchronous and synchronous classes. The University of Massachusetts is a public research and land-grant university with a flagship campus in Amherst, Massachusetts, three additional traditional university campuses in Boston, Dartmouth, and Lowell and a medical school. UMass Online combines resources from these award winning campuses to offer high quality online degrees. New England Association of Schools and Colleges (NEASC) provides accreditation for all degrees granted at UMass. Program Details: UMass online offers nearly 10 online programs in computer science and IT. UMass-Dartmouth offers an online M.S. in Computer Science. UMass-Lowell offers a few online certificates as well as online IT degrees at the associate’s, bachelor’s, and master’s levels. Both UMass-Dartmouth’s online M.S. in Computer Science and UMass-Lowell’s online M.S. in IT are 30 credits. Per credit cost of tuition is around $500 to $535 depending on the program. Located in Los Angeles, California, the University of Southern California is a private, research university. Over 41,000 students are enrolled in classes. The Western Association of Schools and Colleges provides accreditation. Program Details: The Viterbi School oF Engineering has an online Master of Science in Computer Science. Students can choose to get a general M.S. in Computer Science or to specialize in Computer Security, Data Science, Multimedia and Creative Technologies, or Software Engineering. Students study the same curriculum are the same as the on-campus experience. Lectures from the on-campus courses can be viewed live via streaming, on demand, or they can be downloaded. The flagship campus of North Carolina State University is in the beautiful town of Raleigh, North Carolina. Over 34,000 students are enrolled in studies at the school. Accreditation is provided by Southern Association of Colleges and Schools Commission on Colleges to award the associate, baccalaureate, master’s, and doctoral degrees. Program Details: The College of Engineering at NC State offers two distance graduate degrees. The online Master of Computer Science is a 31-credit terminal professional degree. The online Master of Science in Computer Networking is a 31 credit degree with concentration options of Networking Design, Network Hardware, Network Software, and Networking Services. Many of the courses are taught using videos of the lecture from the on-campus experience. Tuition for online engineering courses at NC State is $374 per credit for residents of North Carolina and $748 per credit for non-residents.